Welcome to Sepoi Sepoi Villa on the tropical island of Lombok where the holiday of a lifetime awaits you. Sepoi Sepoi Villa is a luxury six bedroom villa set in lush gardens bordering a beautiful white sandy beach and the azure blue seas of the Lombok Straits. The villa represents a total escape from work and the chance to relax on one of the world’s most beautiful and, as yet, undiscovered islands. 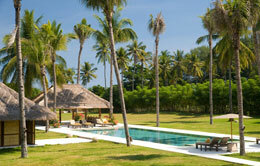 Villa Sepoi Sepoi is set in six acres of beachfront gardens with a wonderful sense of seclusion. The Villa is a family home and is designed to delight all ages of the family from young children playing in the orchard to grand-parents relaxing by the pool. Our efficient and discreet team of domestic staff and security will ensure you have a wonderful holiday. Staying at Sepoi Sepoi will be like having your own private beach retreat where all your needs are met with a smile. 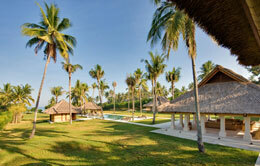 Villa Sepoi Sepoi is situated on the northwestern coast of the beautiful island of Lombok. From the virtually deserted white-sand beach in front of the villa there is a panoramic vista of the mountains, coastline and three Gili Islands. 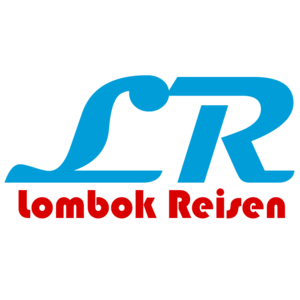 It takes about one and half hour by car to get to Sepoi Sepoi from Lombok International Airport.